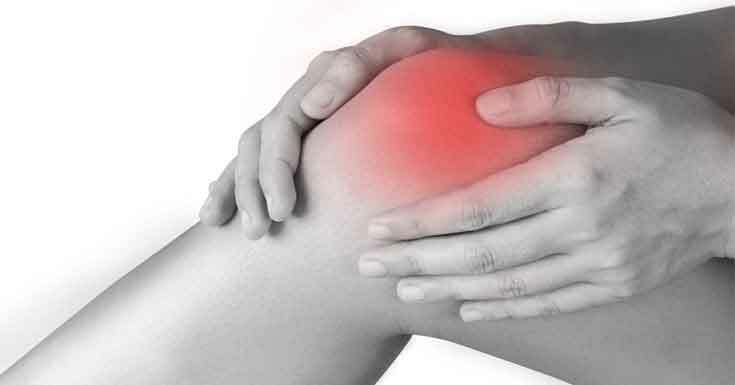 How To Treat Arthritis Knee Pain With Epsom Salt Baths? Can Epsom Salts Help Arthritis Joint Pain? Arthritis is a damaging disease that affects approximately 22.7% of the American adult population. While there are different types of arthritis, they all affect the joints in some way. The most common form of arthritis is osteoarthritis, which refers to a type of arthritis that is caused by wear-and-tear on joints, resulting in pain, inflammation and reduced mobility. One particular area that is often affected by arthritis in the knee, which causes these symptoms associated with the disease to develop in (and around) the knee. Untreated, this condition can lead to deformities and even disability in the long run. Even though arthritis is not yet curable, numerous treatment options have been established. In this post, we would like to focus on arthritis knee pain relief with Epsom salt baths, as well as how this type of treatment can be combined with other treatment options for more effective pain relief. While we are going to focus on arthritis knee pain relief with Epson salt baths in this post, we should take a quick look at the symptoms that knee arthritis causes. This will help you determine if you might be developing this condition, which means treatment could commence at an early stage; thus leading to more effective treatment measures. Consumer Health Digest explains that the most common symptoms include pain that gets worse gradually, as well as inflammation. In some cases, the symptoms are accompanied by tenderness. Popping sounds in the knee during movement, as well as a knee that locks up is also two signs that arthritis may be developing in the knee. Furthermore, deformities and a reduction in the knee’s range of motion also signals the development of this condition. To this date, no particular cure has been discovered to completely stop the progression of arthritis and to completely reverse the damage that the disease has done to an affected patient. This, however, does not mean patients with arthritis in their knee have to live with the pain, discomfort and other symptoms that the disease causes. Medical experts have been able to develop numerous treatments that help a patient control the symptoms, reduce the pain and inflammation, improve range of motion and even to slow down the rate at which arthritis progresses; thus helping the patient continue living their life without the symptoms of their condition becoming too much of an interference. Prior to receiving treatment, a diagnosis should first be made. Doctors usually conduct a series of imaging tests, including X-rays and MRI scans (Magnetic Resonance Imaging Scans) to determine whether a patient has developed arthritis in their knee or not. WebMD explains that the most common form of treatment for reducing the severity of the symptoms that the disease causes include a series of painkillers and anti-inflammatory drug – with the most common types being ibuprofen, naproxen and acetaminophen. Should a patient’s condition be too severe, they may also receive a hyaluronic acid or corticosteroid injection directly into their knee to help lubricate their joints and to reduce the inflammation that is present more effectively. In some cases, surgery may also be required, but this is usually a last resort after other options have been tested and failed to produce positive results. How Epsom Salt an Alternative Treatment Options for Knee Arthritis? While conventional treatment options, including drugs, injections and sometimes surgery may be a good option to help control the progression and the present symptoms of knee arthritis; many people also prefer the utilization of alternative treatment options as these are often less invasive and they do not come with the side-effects that the drugs, such as ibuprofen and acetaminophen, cause in many patients. The particular alternative treatment options that are available for a patient will depend on their individual condition – the severity of their condition and their current health status will affect the number and type of options that are available to them. For example, a person who is overweight should consider losing some weight to reduce the pressure that is put upon their knees while they are standing or walking; but losing weight would not be a viable option for a person that is not overweight. Exercises that strengthens the muscles around the knee is also a good option, just as physical therapy is a good option that can help to improve mobility and help the patient better perform day-to-day activities. Many patients have also had success with certain types of therapies and remedies, including the consumption of natural supplements that contain curcumin and similar ingredients. Acupuncture also seems to be a viable option that leads to less pain and inflammation. Now that we have considered the symptoms, as well as the different treatment options that are available, we would like to introduce… or rather tell you… about an age-old remedy that has worked for millions of people. Arthritis knee pain relief with Epsom salt baths is a popular topic that is often brought up amongst people with pain in their knees. This remedy originated from England and it is quite an old remedy, but people are still using it today as it is truly effective and probably the most affordable method for treating the pain, inflammation, and discomfort that comes with arthritis in the knee. 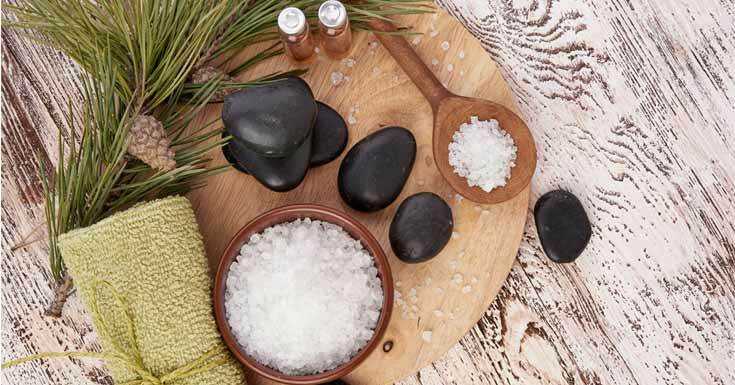 Natural Arthritis Treatments explain that Epsom salts contain a high level of sulfate and magnesium, and these two ingredients work together to help individuals with arthritis. Magnesium is an essential mineral in the body and also possesses powerful anti-inflammatory properties. Combining this with the circulation-boosting effects of warm water creates a powerful system for naturally relieving pain and inflammation associated with knee arthritis. To experience arthritis knee pain relief with Epsom salt baths, simply mix some Epsom salt into a warm bath. Two cups are usually enough, but if the pain is more serious, then you can use three cups instead. Relax in the warm water for approximately half an hour before you get out. Arthritis in the knee can be very painful and also be disabling, but treatment options are available to help you cope with the symptoms, reduce the discomfort and get on with your daily life. Conventional treatment options, such as anti-inflammatory drugs, are usually the preferred option but can result in side-effects that may be unpleasant. An Epsom salt bath is an effective alternative remedy that is used by many people and provides fast relief to the most common symptoms that knee arthritis causes.